Thought it was impossible to have both a light yet authentic Italian meal? Think again. 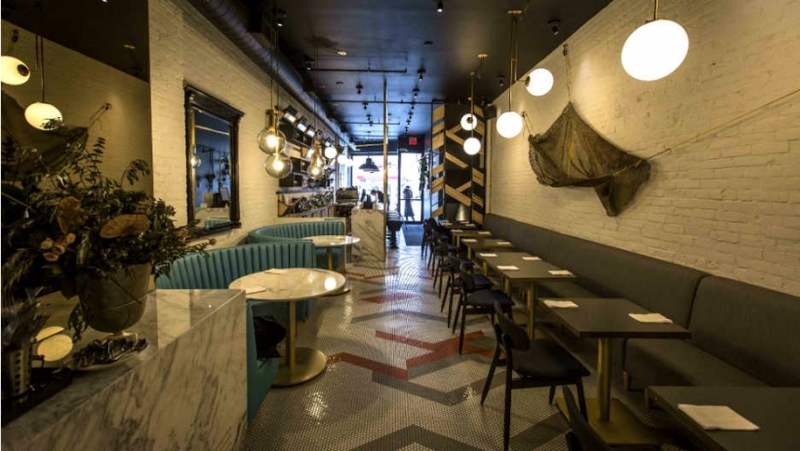 Ufficio, a new pescatarian-Italian restaurant at Dundas West and Ossington succeeds at providing just that. 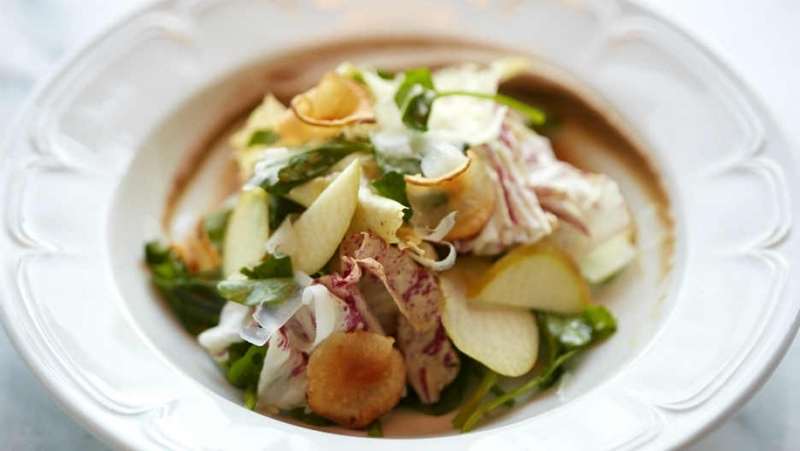 Head chef Jeff Lapointe (ex-Splendido) and consulting chef Craig Harding (Campagnolo) have teamed up to create an airy menu littered with seasonal and local ingredients that are prettied up with flavourful precision. While the food doesn’t skimp on taste, neither does the décor. 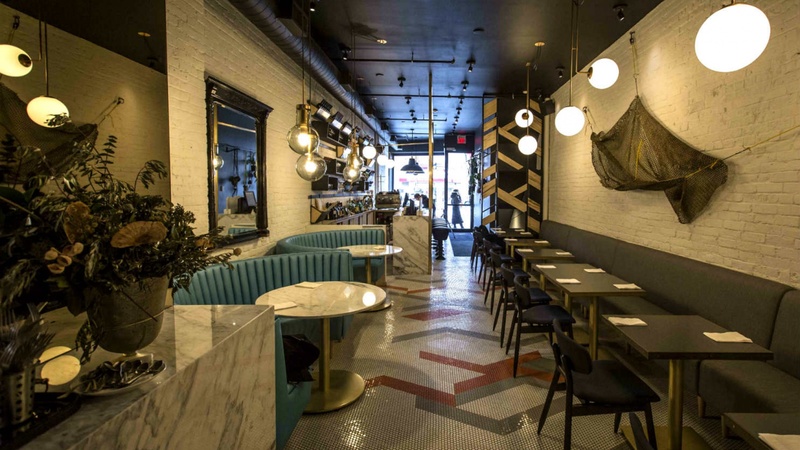 With go-to Toronto design firm Commute Design (think: Byblos, Patria, Alo and Tabule) at the helm, the 30-seater eatery welcomes diners to sink into their plush upholstered benches or if you’re lucky - the bright-blue statement booths at the back. 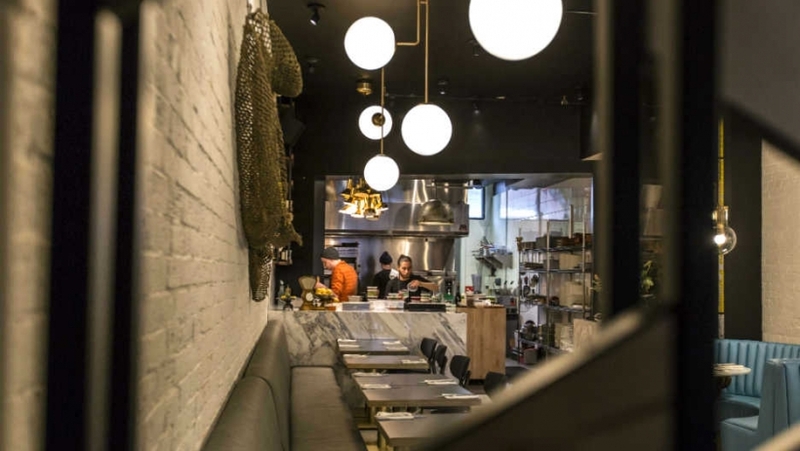 Ufficio’s brightness both in plate and ambiance is what makes it quite one of a kind. The wine, curated by sommelier Carolyn Balogh, naturally features mostly Italian. The draught beer swings two ways—Italy’s own Menabrea Ambrata and German Krombacher Pils. But the cocktails, are truly where it’s at. Bar manager Rob Granciolo has crafted a small but standout six-drink list including the Picante Pasini (the granddaddy of all aperitivos), comprised of Cazadores Tequila, Aperol, grapefruit, fresh lime and chili, which buzzes, tingles and lingers at the finish. As a digestivo, the Rosmarino is the only way to go—rosemary-infused vodka, lemon and fennel, with its hints of anise and licorice. 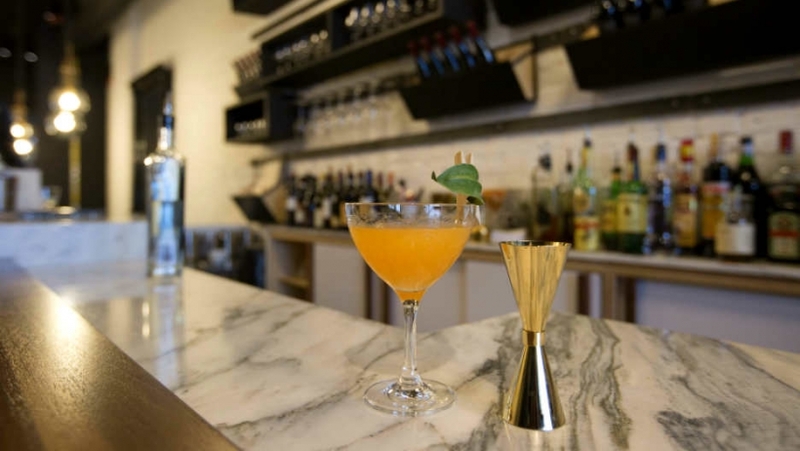 If you’re weary of the rosemary vodka, a secret signature cocktail that didn’t make the list is the Fennel Sour, a refreshing mix of Bombay Sapphire, Pernod, fennel syrup, lemon, egg white and orange bitters. Just ask the barman and he’ll be happy to make one for you. The restaurant describes the menu as an aim to 'feed the soul' with a strong focus on seasonal and sustainable ingredients. 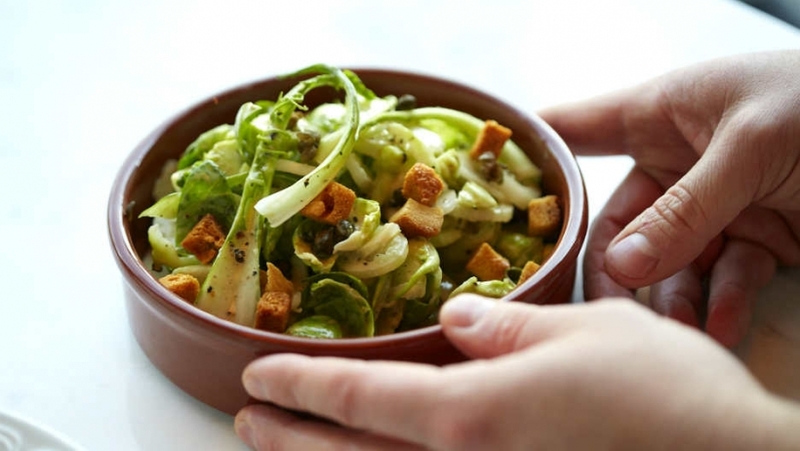 Expect to find homemade pastas, bread baked onsite and fish that is cured and smoked in-house. Start with the unlikely rich and surprisingly satisfying Insalata Di Barbabietole (roasted beet salad), a beautiful plate of deep crimson beets, sprinkled with horseradish, trout roe, dill and crunchy chopped hazelnuts. 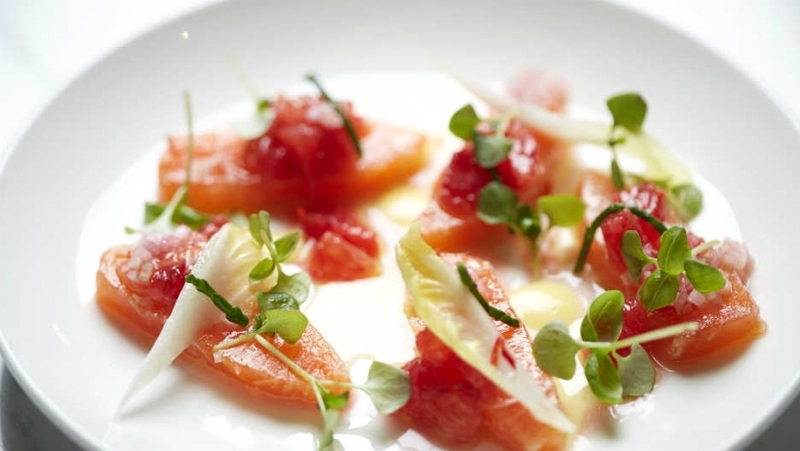 Next, the Tuna Crudo, a dainty yet robust dish is in every way, a true testament of what Ufficio does best. It’s tuna poached in olive oil, littered with celery and topped with salty olives—humble but well thought out. And delicious. 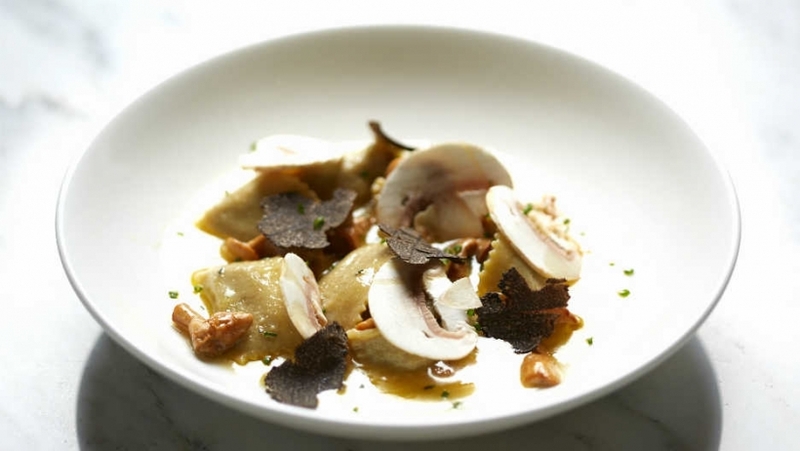 Hedgehog chanterelles and Perigord truffles shine amongst a cream sauce in the Porcini Agnolotti and the Polpo Alla Griglia, a Mediterranean classic of grilled octopus, eggplant caponata and warm, pungent oregano are solid choices to round out the meal.